Spontaneous, unbridled fantasy of childrenʼs drawings inspired me the creation of this corporate identity. Brave handling art materials, boundless imagination and neglect the rules – this is what tends to children and what makes their works unique. Bright, iridescent, full of emotions logo and corporate identity International Lake Garda Festival Amici (art, music, children) is visual interpretation of that event. Annual festival-holiday of childrenʼs theater studios and art was created by Cultural association Multicittà in the town Lonato del Garda in Italy in 2016 for support of Russian culture, communication and open new talented children, who live outside of Russia and speak Russian language. 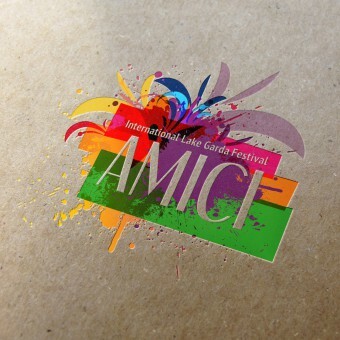 They emphasize splashy, original logo and corporate identity International Lake Garda Festival Amici among such festivals, create its identity and left in memory. The project started in April and finished in June 2016 in Desenziano del Garda, and was presented in International Lake Garda Festival Amici in Lonato del Garda, Italy in June 2016. The logotype was drew with Adobe Illustrator. MockUp was made with Adobe Photoshop. 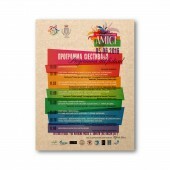 The poster and stationery were completed with Adobe InDesign. The project is printed in Italy. 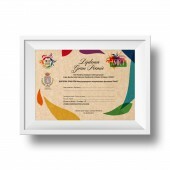 Poster, letter, envelope, bussiness card, certificate, CD, ID card, ticket, pin, T-shirt, bag, wirstband. Corporate identity was designed on the base of recommendations and wishes of the team of Cultural association Multicittà. Corporate identities of different theater and music festivals were examined. All that served the creation of bright, rememberable, individual shape. 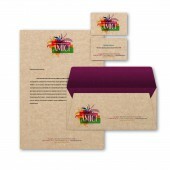 The aim of of logo and corporate identity International Lake Garda Festival Amici is to attract attention potential viewers and participants, create a holiday atmosphere for children and their parents, develop the level and prestige of the event. Copyrights belong to Ekaterina Ezhova, 2016. 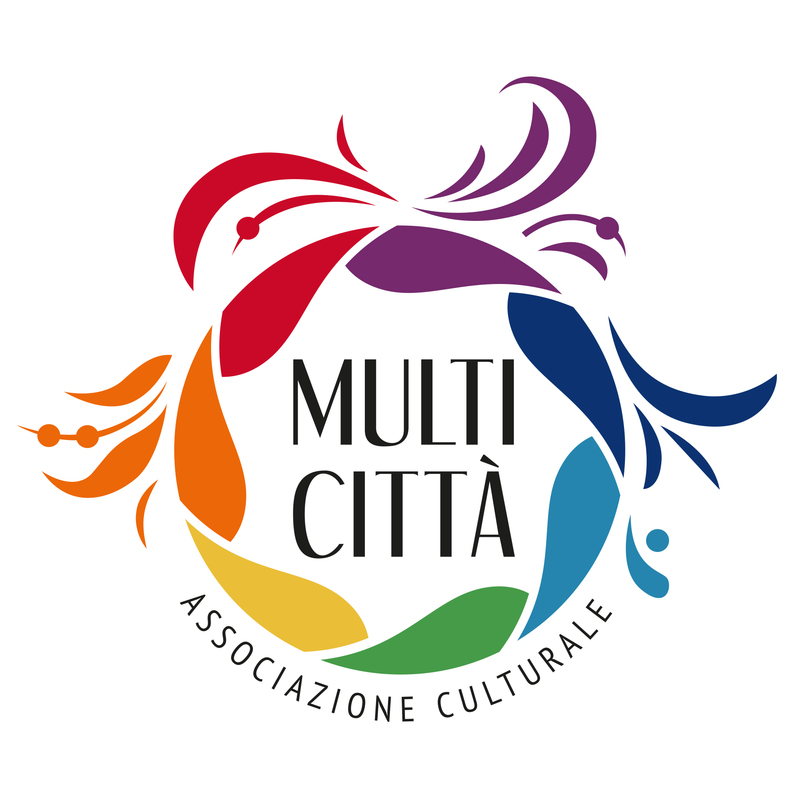 "Multicity" is a cultural Association founded in Desenzano del Garda in 2010 with the aim of promoting the Russian language and culture in Italy. The Association founded a Russian school for children and Russian language courses for adults, a children's music and dance Studio, an art school. "Multicity" theater group does theatrical performances in Russian and participates in international theater competitions. The Association publishes a magazine "Multicarousel" for those who study Russian and love to read. Moreover, "Multicity" has an international summer camp which is located in Italy and was created with the purpose of supporting the Russian language in bilingual children living outside Russia. Amici International Lake Garda Festival Corporate Identity by Ekaterina Ezhova is a Nominee in Graphics and Visual Communication Design Category. · Click here to register today inorder to be able to view the profile and other works by Ekaterina Ezhova when results are announced. Amici International Lake Garda Festival Corporate Identity by Ekaterina Ezhova is Winner in Graphics and Visual Communication Design Category, 2016 - 2017. · Press Members: Login or Register to request an exclusive interview with Ekaterina Ezhova. · Click here to register inorder to view the profile and other works by Ekaterina Ezhova. Did you like Ekaterina Ezhova's Graphic Design? 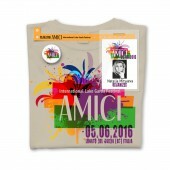 Did you like Amici International Lake Garda Festival Corporate Identity? Help us create a global awareness for good graphic design worldwide. Show your support for Ekaterina Ezhova, the creator of great graphic design by gifting them a nomination ticket so that we could promote more of their great graphic designs.